Well, we made it to day twenty five, Christmas day so Merry Christmas everyone, we hope you’re all enjoying the day! 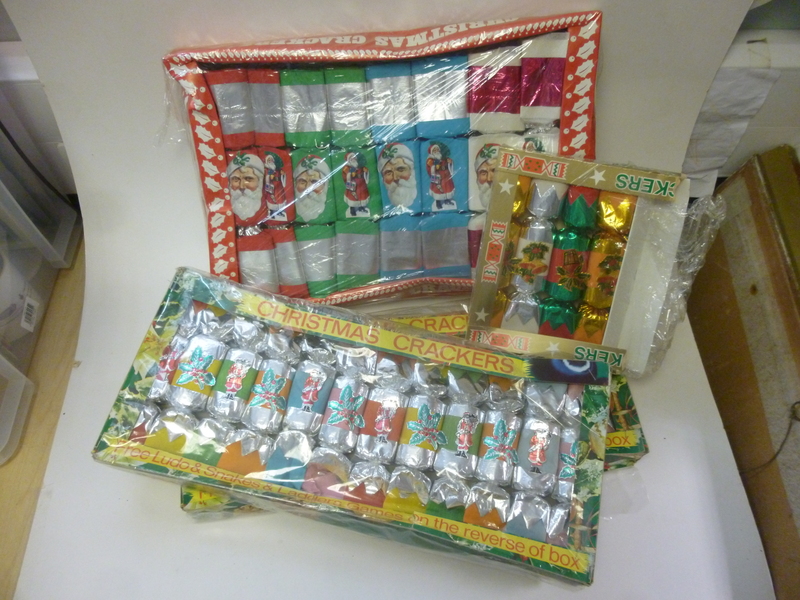 Because it’s an extra special day and because you’ve taken time out to look at blog we’re going to treat you to not one but a few of our favourite Christmas items from the Collection today. 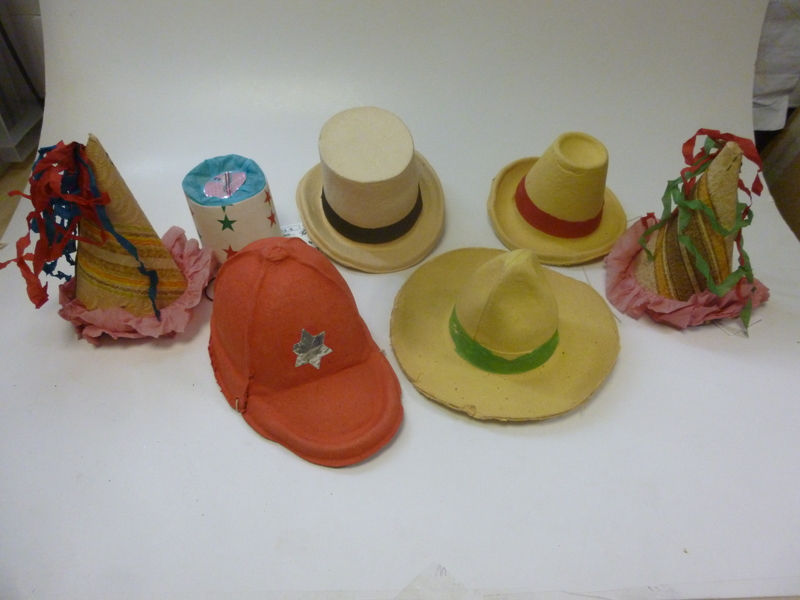 First up, we’re thinking about presents and the sorts of things that were popular for children living in the 1950’s to receive on Christmas day. 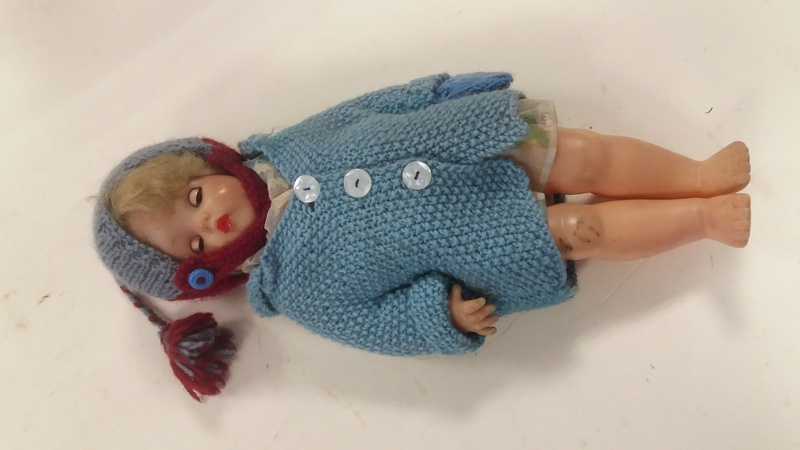 We know from our collections and from speaking with donors that dolls were a common gift and this doll was no exception. She was given as a gift on Christmas day but fell into the hands of younger sister who took to her with a biro. 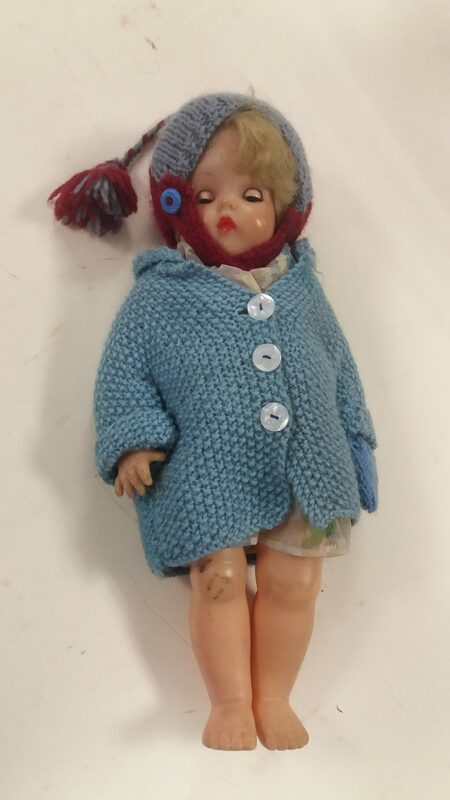 The donor told us that after this the doll was never quite the same and in fact remained nameless and largely in-played with. 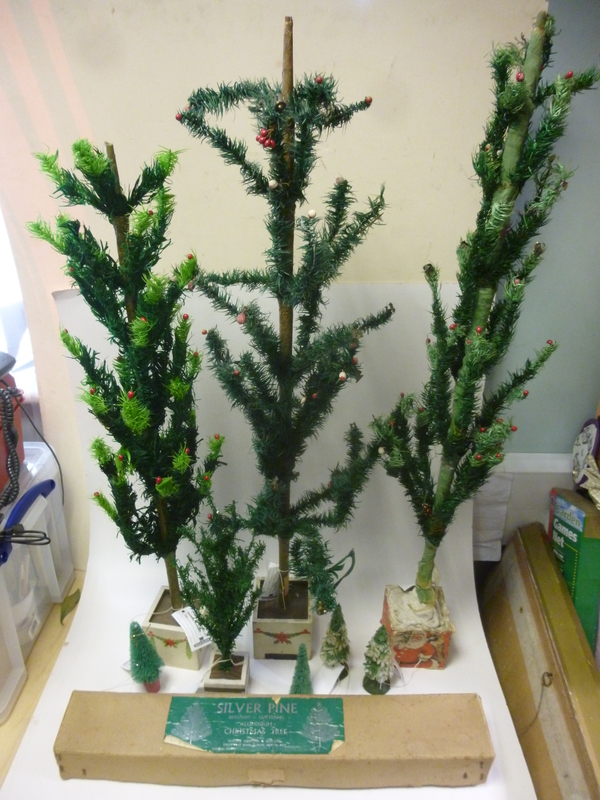 We hope there are no biro related incidents for anyone this Christmas! 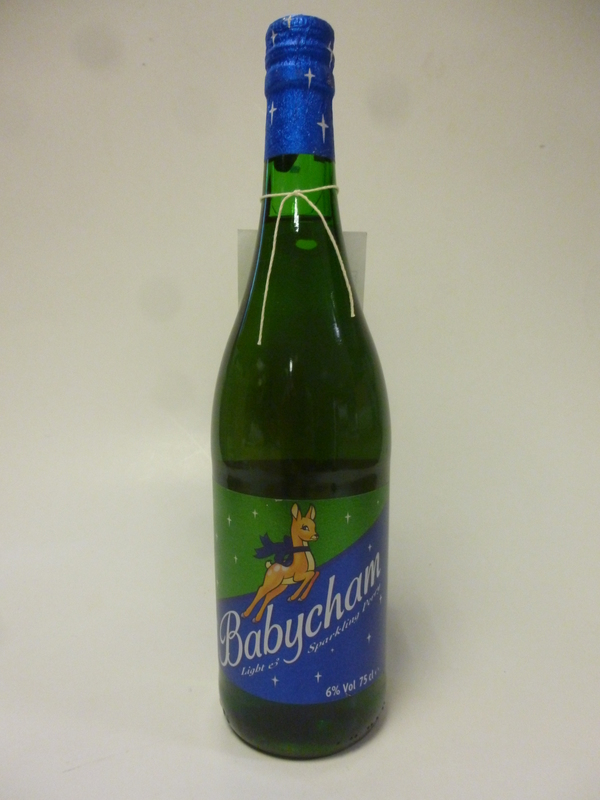 For the adults this time, a popular drink for many ladies back in the 1950’s was of course a Babycham and we have in our collection an unopened bottle dating to around the mid-20th Century. We hope you’ve enjoyed our advent offerings and all that remains is to wish each and everyone of you a very Merry Christmas and a Happy New Year! 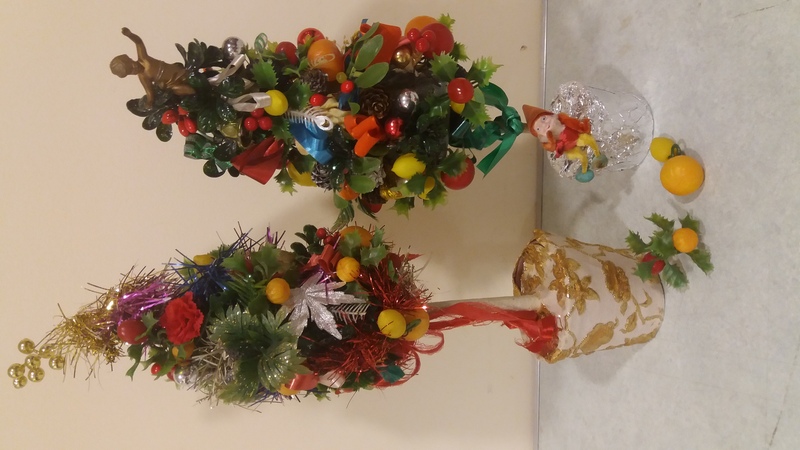 This entry was posted in Adventures in Collecting on December 25, 2017 by Emma Sayer. 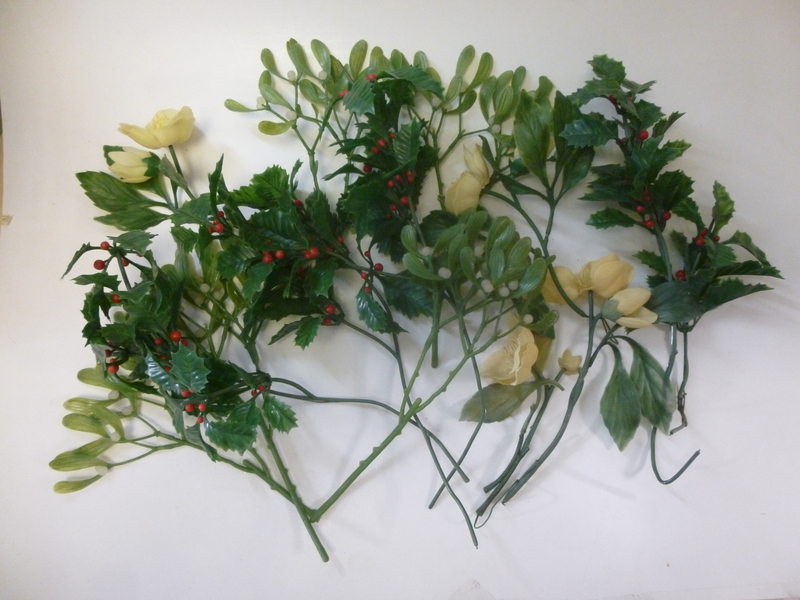 We hope you’re all feeling very festive and looking forward to the big day tomorrow! 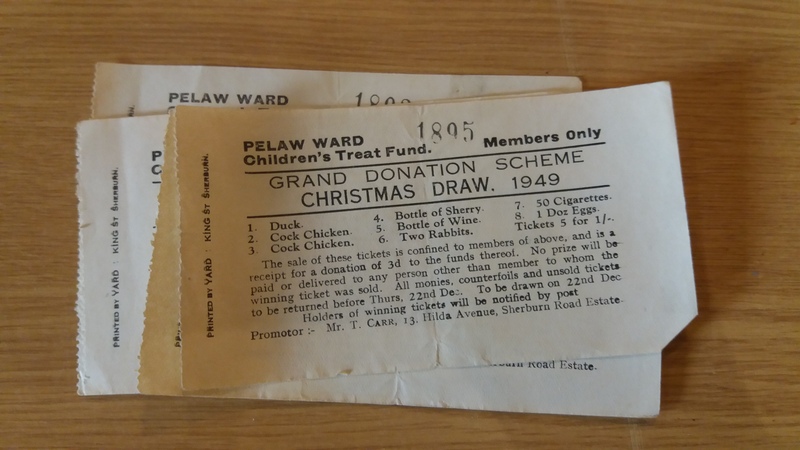 On day twenty four of advent, Christmas eve itself, we bring you these lovely raffle tickets for Pelaw Ward Children’s treat fund Christmas draw, dated 1949. 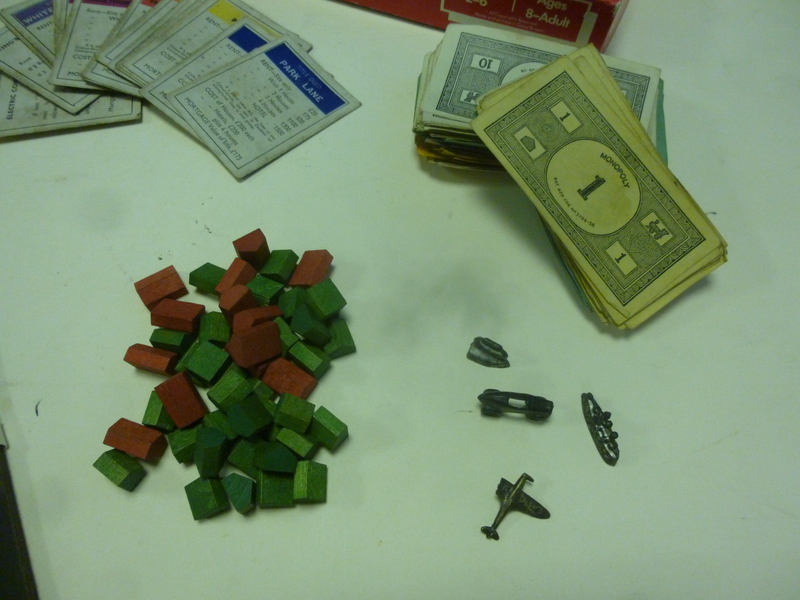 This would have been a time when rationing and scarcity was still very much being felt by people in Britain and this is reflected beautifully in the prizes that were available to be won. 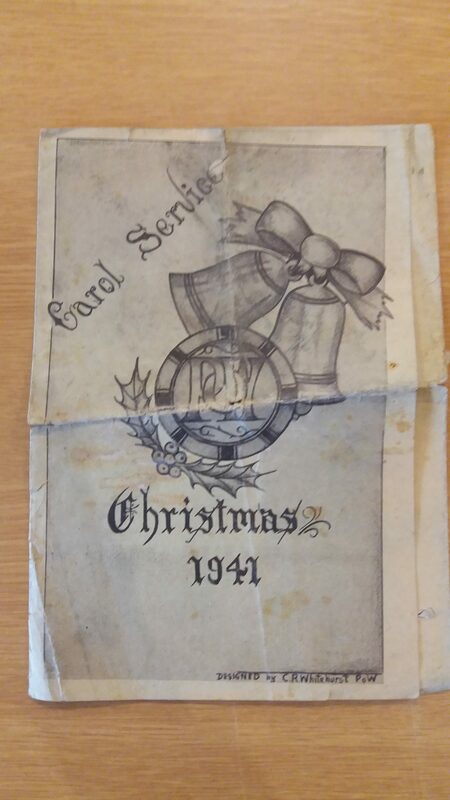 Most of the prizes were things that a lot of us might take for granted as essential Christmas commodities which we pop out to buy from the local supermarkets but in the late 1940’s, early 1950’s when many items were still being rationed, these would have been very gratefully received prizes! This entry was posted in Adventures in Collecting on December 24, 2017 by Emma Sayer. It’s worth remembering that for some, not all Christmases have been spent in the comfort of their home, surrounded by their loved ones. 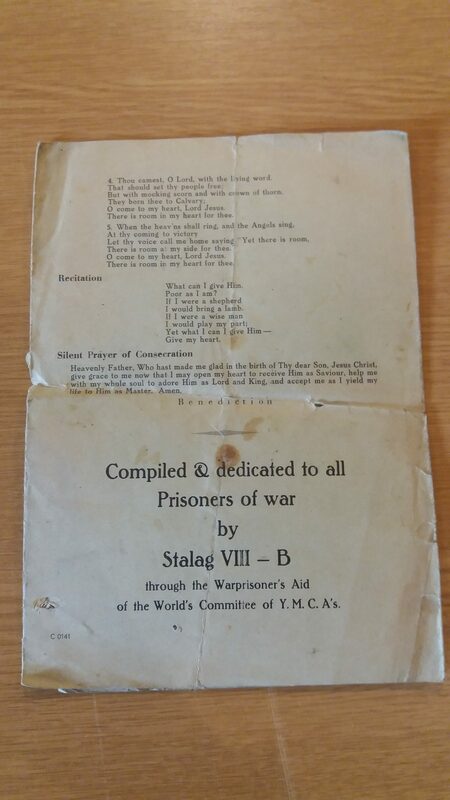 On day nineteen of advent we’d like to share with you this Christmas Carol service program which took place in a German Prisoner of War camp in 1941. 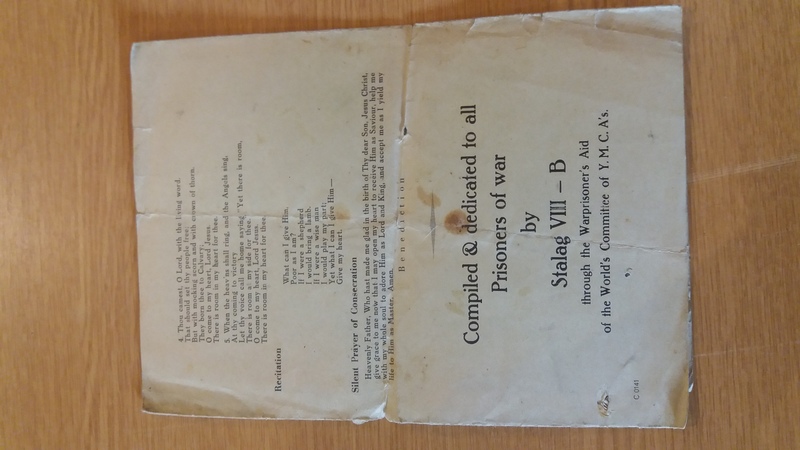 It belonged to a British soldier who we know was in a POW camp at this time and who suffered some level of visual impairment as a result of his service during the war. We can’t imagine what his Christmas must have been like that year, away from his family and equally what it must have been like for his loved ones. This entry was posted in Adventures in Collecting on December 19, 2017 by Emma Sayer. 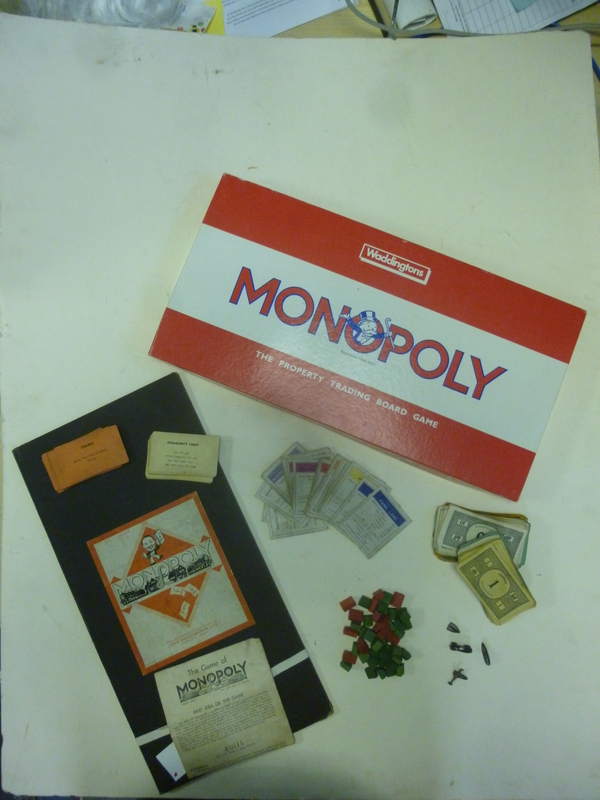 Say ‘traditional Christmas’ and many people think immediately of a white Dickensian Christmas, with a bustling market town and Victorian Costume. 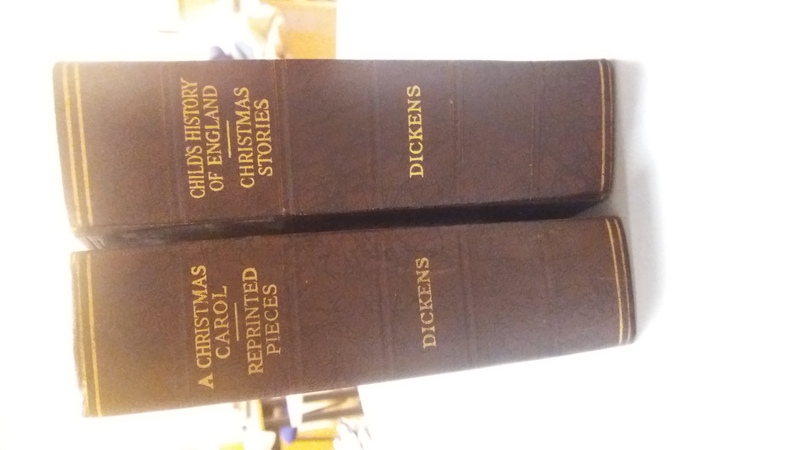 We’re Edwardian’s here at Beamish so just a little late to enjoy a Dickensian Christmas but on Day Seventeen we bring you a copy of one of Dickens most popular works, “A Christmas Carol” as well as a book of Christmas stories. This entry was posted in Adventures in Collecting on December 17, 2017 by Emma Sayer. 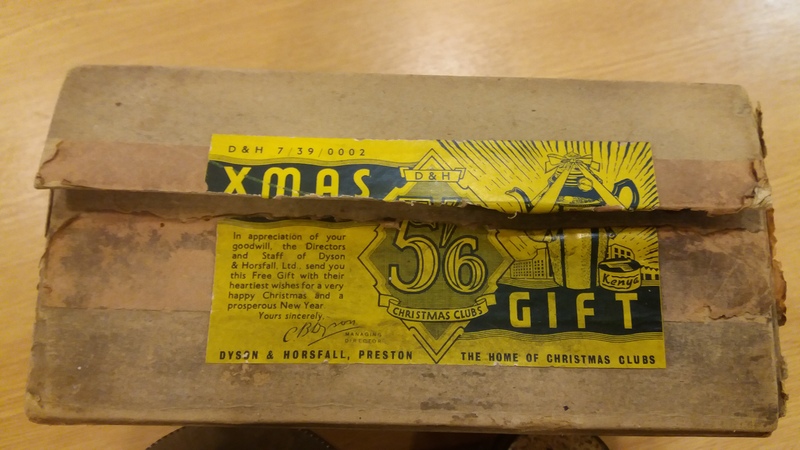 Earlier in the month we featured some savings stamps books which were a great way of spreading the cost of Christmas.On Day sixteen we bring you this 5’6 Christmas Gift from the Home of Christmas Clubs Dyson & Horsfall. 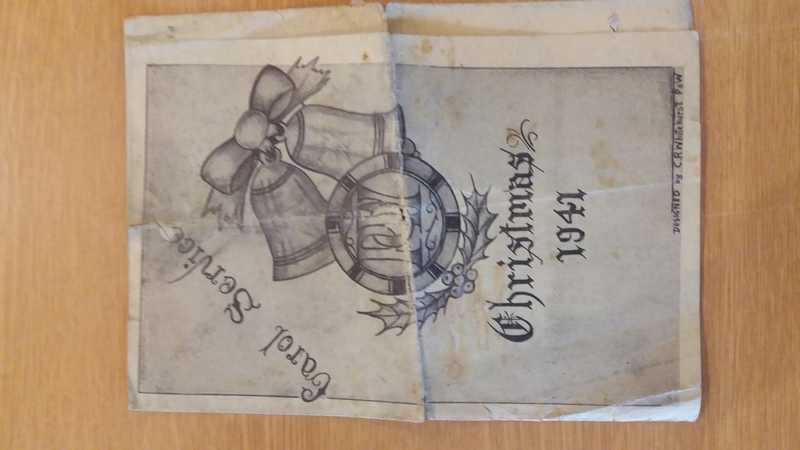 Dyson & Horsfall were a mail-order catalogue firm operating in Preston and a copy of their 1939 Christmas price-list is held by the National Archives. 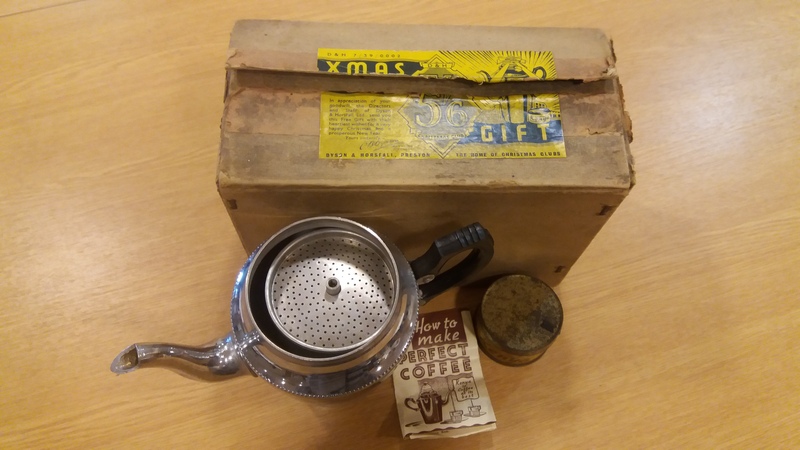 This boxed coffee pot and Kenya coffee would have been given to customers of the Christmas savings club as a token of the company’s appreciation for their valued custom. It’s made from Aluminium, however we know that during WW2 the company donated all it’s aluminium to the war effort to contribute to armaments and aluminium tea and coffee pots were replaced with ceramic products, one example of which was a commemorative teapot bearing the words “war against Hitlarism” -an example of which can be found in the British Museum’s collection. We think therefore that our coffee pot pre-dates WW2, most likely dating to around the 1930’s. 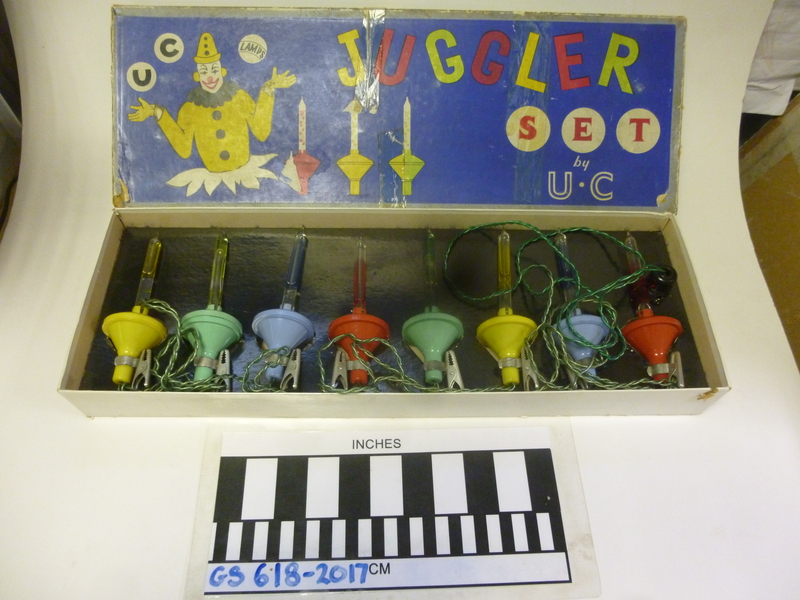 This entry was posted in Adventures in Collecting and tagged 1930s, alluminium, armament, Britishmuseum, christmasclub, coffeepot, dysonandhorsfall, gift, kenyacoffee, Museum, museumcollection, Nationalarchive, WW2 on December 16, 2017 by Emma Sayer. 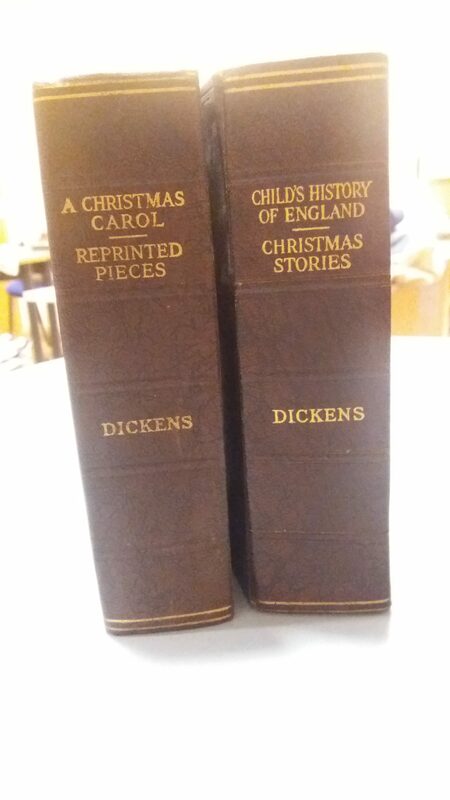 On a rather cold day fourteen of advent we bring you this piece of coal. 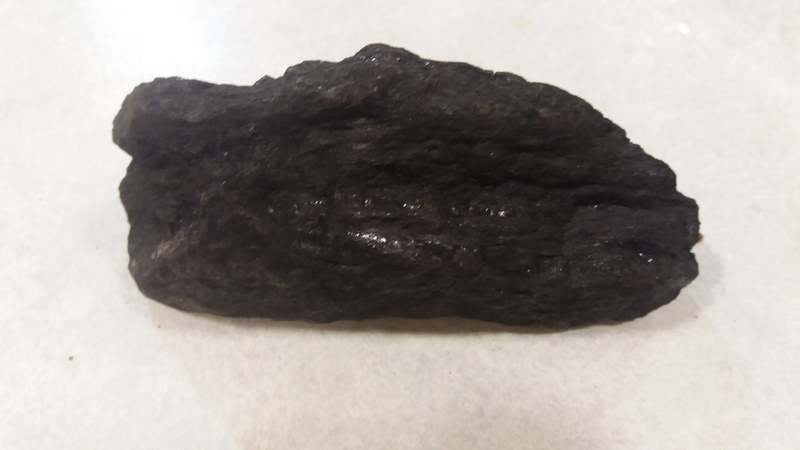 We have a lot of coal at Beamish Museum as you can imagine and it’s always useful on a day like today to keep the home fires burning, but this piece has particular significance. 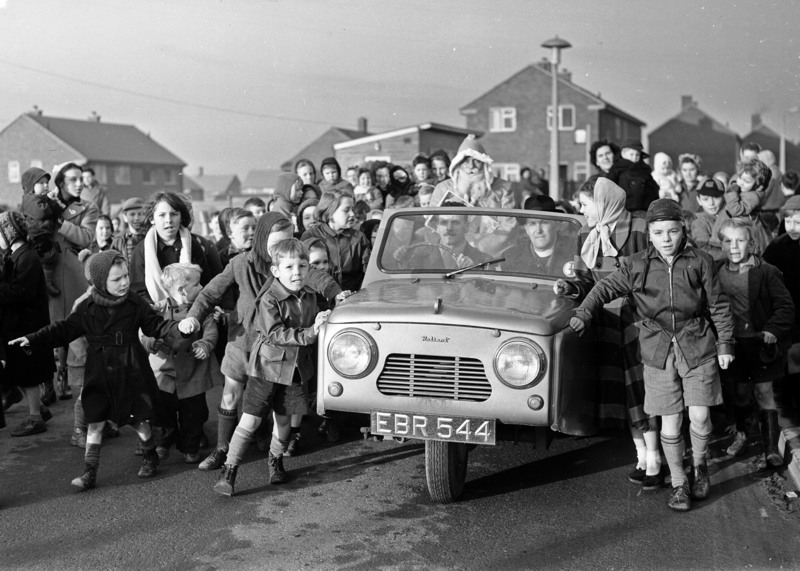 It’s long been tradition, particularly in Scotland and the North of England, for the first person over the threshold on New Years Day to come offering a piece of coal. 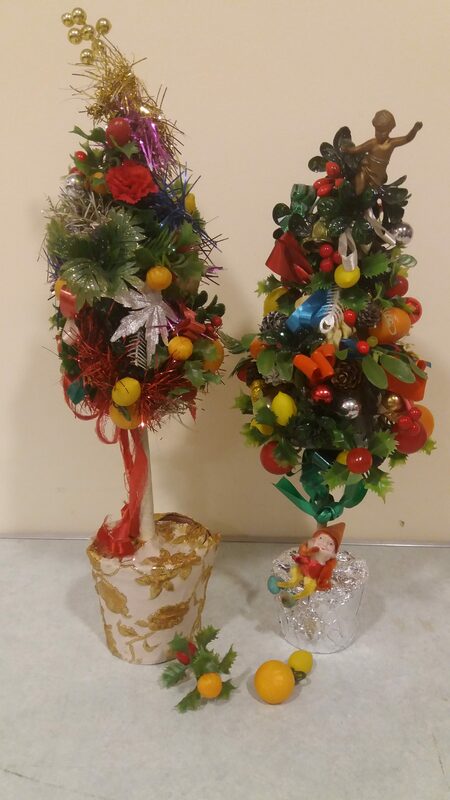 This is meant to signify prosperity and bring luck to all those living in the home. It is also preferable that the first person across the threshold is a tall, dark haired male. This entry was posted in Adventures in Collecting on December 15, 2017 by Emma Sayer.